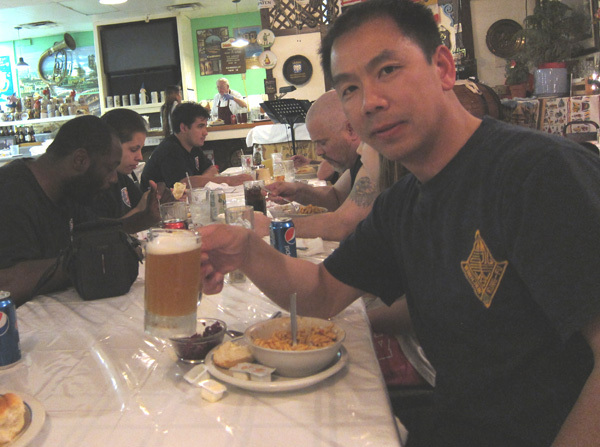 Our Germany instructors participate special training on Lo Man Kam Wing Chun takedown technique. 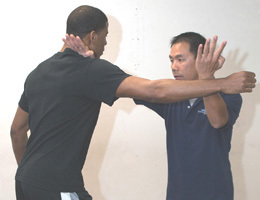 Wing Chun system already included few techniques that can be easily to take people down, throws or joint locks. The technique we are working on is from Tan-sao and Man-sao together to cover the hook and following with the throw. The key to make this technique works that is the Man-sao have to shoot to the neck. This strike is creating distraction or good impact that can give us a good timing to properly break their balance. As the move into throw, make sure to follow the pulling and pushing idea. 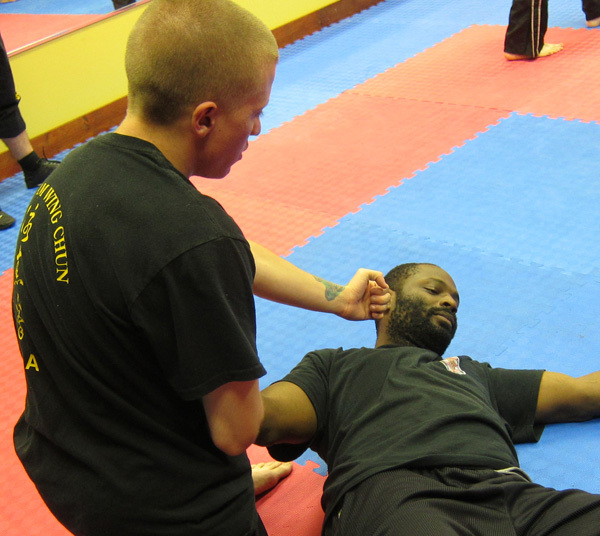 Pull by the Tan-sao hand and use other hand to push your opponent’s Man-sao side shoulder, at same time to work with quick swing, twist the hip and the footwork to execute the throw.